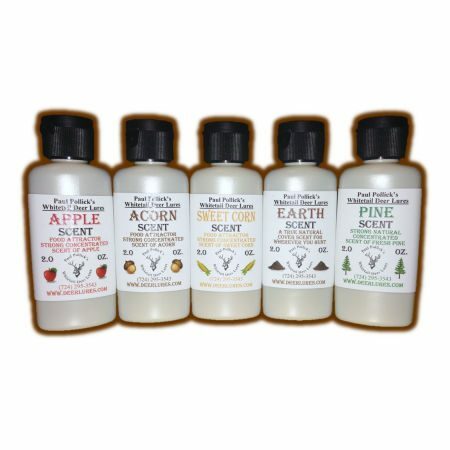 Our apple, acorn, and sweet corn concentrated scents are excellent deer attractors. They are also food odors used in trapping baits and lures. Earth is a universal Cover Scent, and Pine Scent is effective in hunting in an area near evergreens. Bottle Size: Choose an option2 oz.8 oz.